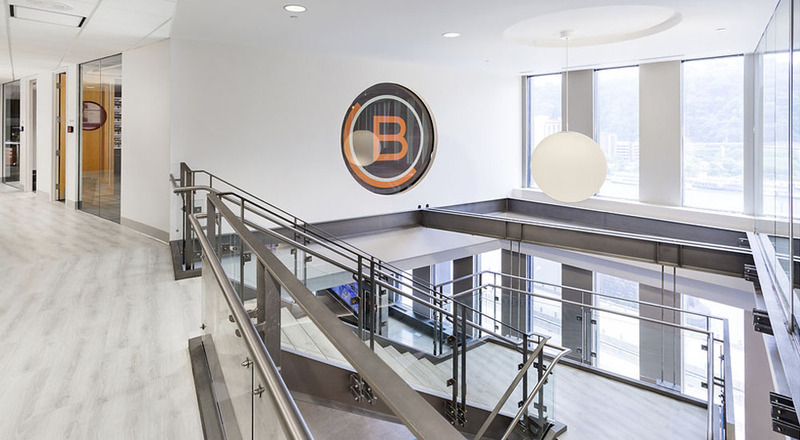 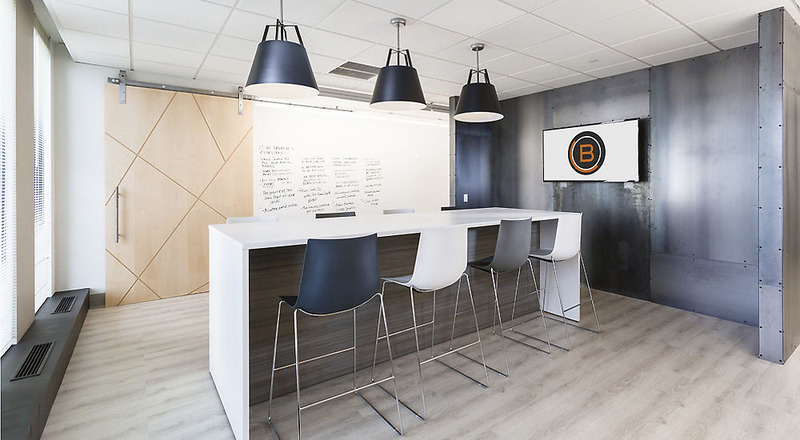 Brunner, an award-winning advertising agency, sought to improve their office to better reflect the company’s work styles and identity. 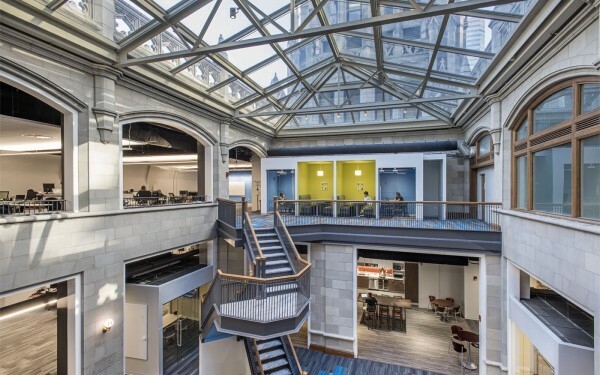 Through an immersive and collaborative process with several user groups, the Strada design team focused in on key priorities for the renovation: increasing capacity for different work modes, enhancing social spaces, creating a great tour experience, reinforcing the company’s brand, and making these transformations while the office remained occupied. 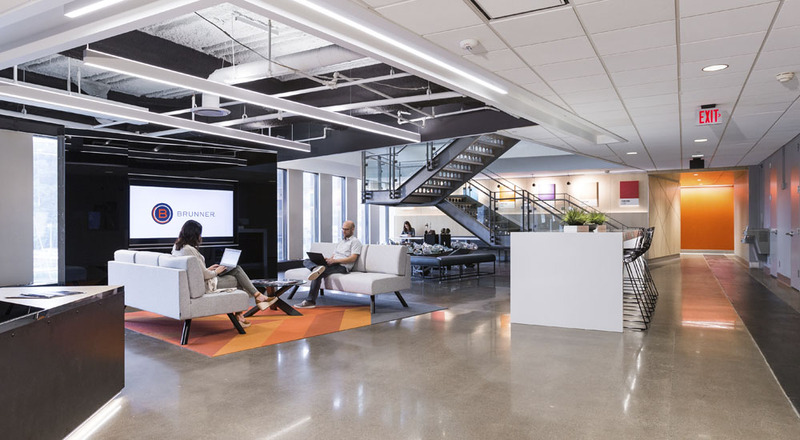 In response, the team imagined the office as an ecosystem of layered places for work and play, solo and group activity. 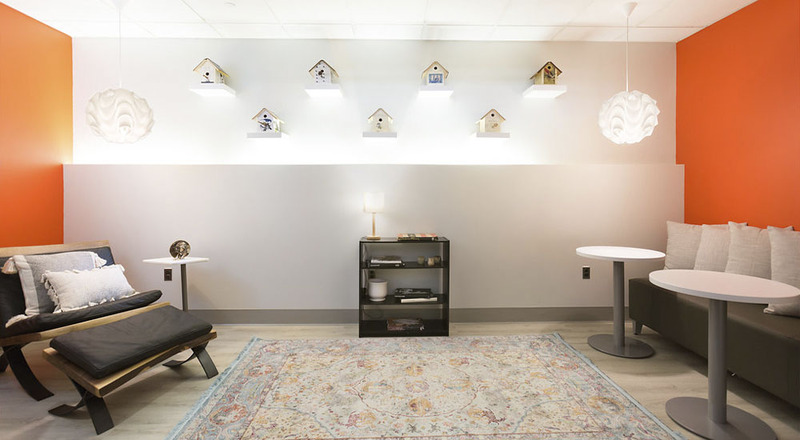 Strategic design interventions were charted out to provide major impact without shutting down the office. 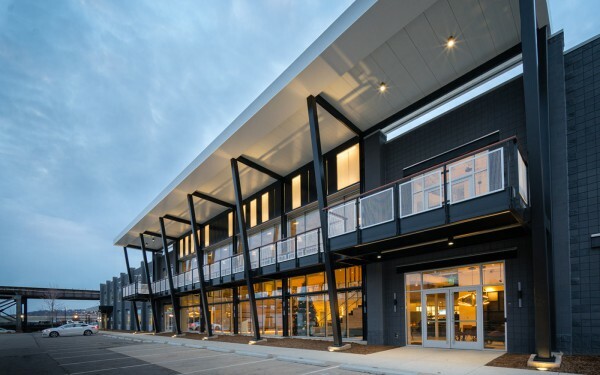 The most prominent change is a reworked central space near the top of the connecting stair dubbed the New Town Hall, an open area with casual group seating, high-backed individual chairs overlooking the river, and a huge island for communal work by day and beer pong by night. 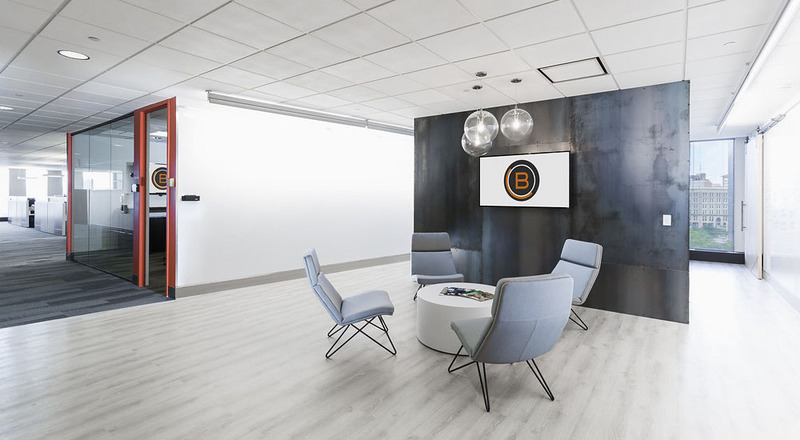 Another important intervention is the Black Box Studio, an adaptable studio space that can be customized for shooting video, recording sound, and more. 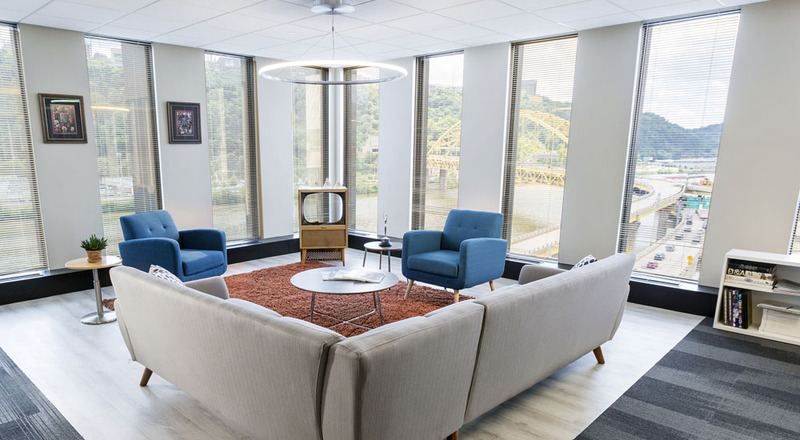 An adjacent Viewing Lounge provides a comfortable place for reviewing content with clients. 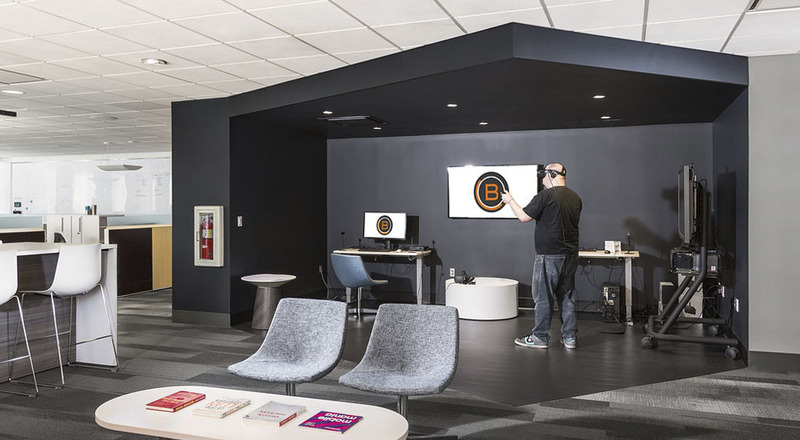 Another important media space, the VR Lab, showcases Brunner’s explorations into virtual reality, elevating a once-underutilized niche space to one of the feature stops on the office tour.